REDUCED $20k! POOL HAS JUST BEEN RESURFACED AND ITS BEAUTIFUL! Meritage home built on one of the largest end lots in the gated community of Pleasant Valley. 5 bedroom+den/3.5 bathrooms/3 car garage is perfect for the family and home office. Separate driveway leads to the 10′ RV gate. Bring your toys! Lots of upgrades including gorgeous granite in the kitchen, updated bathrooms, ceiling fans and wood plank tile in the family room. HUGE resort-like backyard with pool fencing, full-length covered patio, spa, RESURFACED heated pool, waterfall/volleyball net and built in BBQ. Grand staircase leads to the large loft/game room, 3 bedrooms and master suite. Surround sound/security cameras throughout. Close to shopping, freeway and great schools! Call to view today! 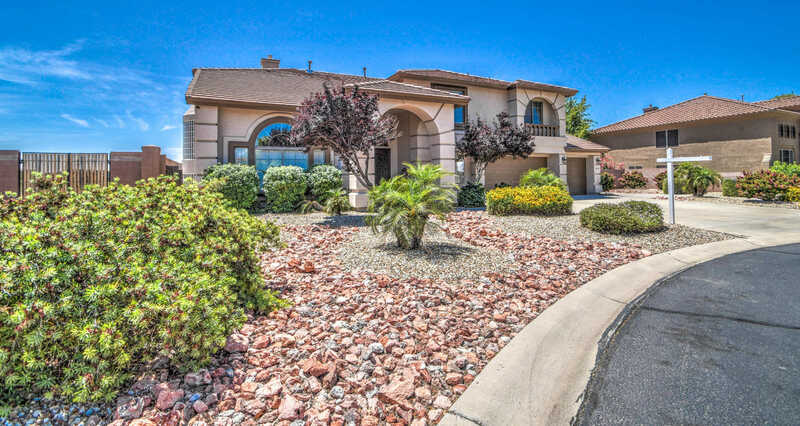 I would like to schedule a private showing for this property: MLS# 5881599 – $579,000 – 9503 W Blue Sky Drive, Peoria, AZ 85383.